Over the last year there has been a rise in Sacramento freelancers and advertisers hitting the the pavement to round up any local business they could to sell them SEO services and you may have noticed the rise in companies doing Sacramento SEO. Facebook is flooded with so called “experts” who took a 4 week course on selling SEO to Sacramento businesses, many of whom have never ranked a site or generated traffic before. To help you navigate the spam emails and phone calls your getting daily as a local business owner, I put together some marketing tips to help you hire the right Sacramento SEO specialist to help you increase your organic traffic and rankings. Trends change, search engine algorithms change, the way consumers use the internet change, it is important to keep up with this in order to stay ahead of the game and be able to deliver great results. When searching for a Sacramento SEO how do you choose the right company? 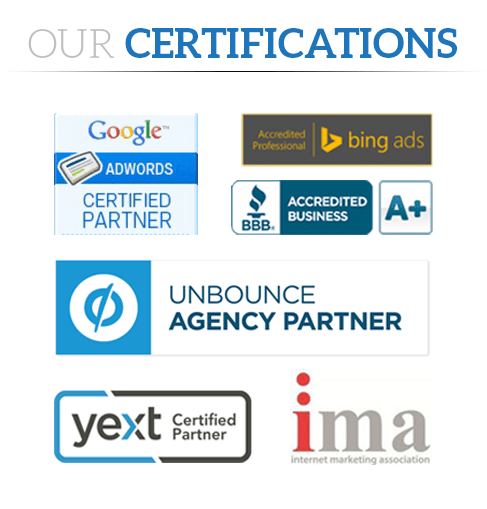 So here we are going to get to the meat and potatoes and how to weed through the companies offering SEO services. Some of these may or may not be important to you. Like having the company be Local is pretty big to some business owners I have spoken with and if you think of one that is important to you and its not here, feel free to leave a comment and I will add it. Q: Is there company ranking for their own market or service? When you Google the service your looking for (sacramento seo company, internet marketing sacramento, etc) does that company appear in the top 10? Q: Are their clients on Page 1? Where are their clients ranking and ask to see proof. Some agencies don’t like to expose their clients rankings especially if you’re a competitor to their client, but any reputable SEO marketing agency should be able to provide you with case studies, verifiable results, and references. Q: How big is there company? You may or may not want to work with a very large SEO company. Many business owners I have spoken with have had terrible experiences working with large companies, because they treat you like a number. There is no personalization and you more than likely will have an intern or at best customer service account manager that has no clue what is actually being done on your campaign. Another very common story I hear is that there SEO/web designer/PPC expert/brochure designer disappeared and took weeks to reply to their support questions. So, how responsive is that company? When you requested a consultation how long did it take for them to respond? You want to make sure that the communication is very high and fast. Q: What questions are they asking you? are they just trying to sell you a package? A professional consultant will take time to interview you, to get in-depth details about your business, services, and target customers. They will be interviewing you just as much as you are interviewing them. A professional SEO consultant will want to make sure you’re going to be a fit for them just as much as you want to make sure they will be a fit for you. They are going to be interested in increasing your revenue and not just selling you a program. Q: Is the company even located in the US? This may or may not be important to you but I think it is important to most local businesses. I have spoken to many business owners who are giving me time just because I am here in Sac. They are getting hit with many calls a day from companies not in California and some not even in the U.S. It is also very nice to meet someone you’re going to be working with, shake their hand, and speak face to face if at all possible. Q: Do they have a few clients past or present that you can speak to? You don’t need 100 names but a few people to confirm they’re delivering real results and people are happy with them is always nice. Case studies can also fulfill this requirement. Q: Are there services really cheap? SEO companies that offer really cheap pricing you should proceed with caution. By cheap pricing I would say anything under the $500 per month mark. Depending on the geographical region and number of keywords of course, but that is a pretty good benchmark. Legitimate SEO services are not cheap and behind the scenes the service will have a lot of moving parts. There is content writing, outreach, back linking, research, strategy, management, just name a few. An analogy I heard from a fellow SEO was that a full-time Starbucks employee has a salary of about $1,500 per month, to make coffee. It is not very real that you can pay someone less than a Starbucks employee to grow your business. SEO is a specialized field. An exceptional winning service that delivers the best results will cost money and there is no way around that. In the end, it’s the results that matter.